Easily onboard new clients via QBOA using our guide! Follow the instructions below to purchase Expensify and activate your client's subscription using QuickBooks Online Accountant. 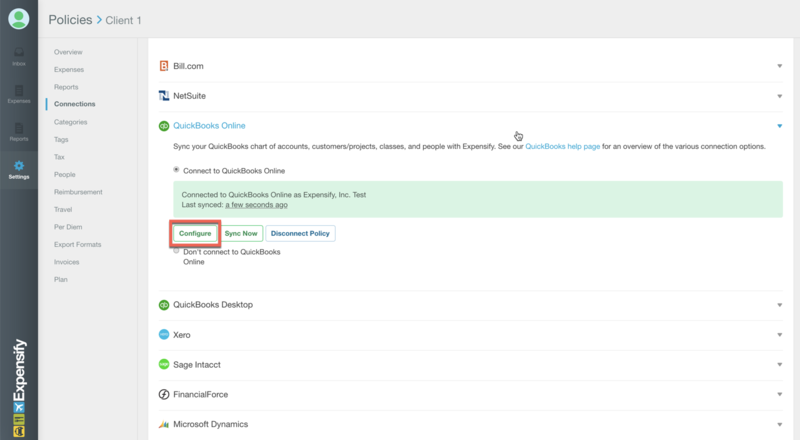 Log into QuickBooks Online Accountant, then click Apps on the left sidebar. 2. 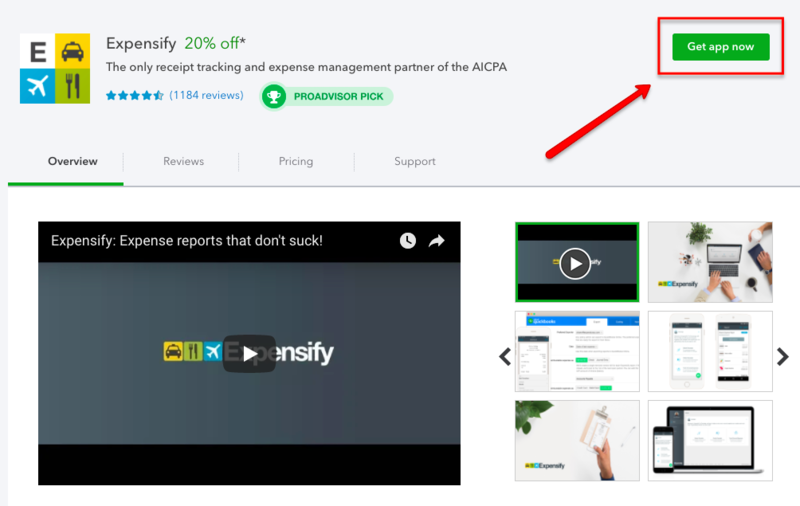 In the Apps section, find and click the Expensify tile. 3. Click Get app now to proceed to client setup. 4. In the Get app pop-out, click on the Install for Your Client dropdown and choose the applicable client. 5. 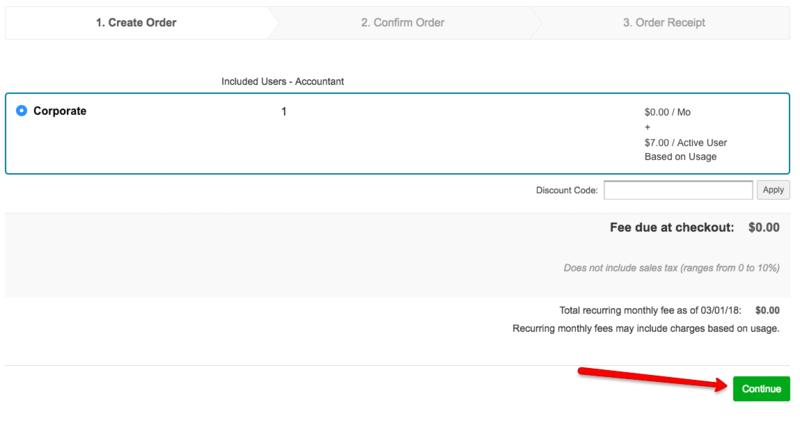 To enable the discount, select the Buy now with accountant discount (firm is billed) option, then click Install. 6. Create, confirm, and place your order. (Note: By default, each new policy will be created with a single user.) Click Done when finished with your order to return to your QuickBooks Online Accountant dashboard. 7. In QuickBooks Online Accountant, click Apps on the left sidebar, then click the Client apps tab near the top of the page. 8. 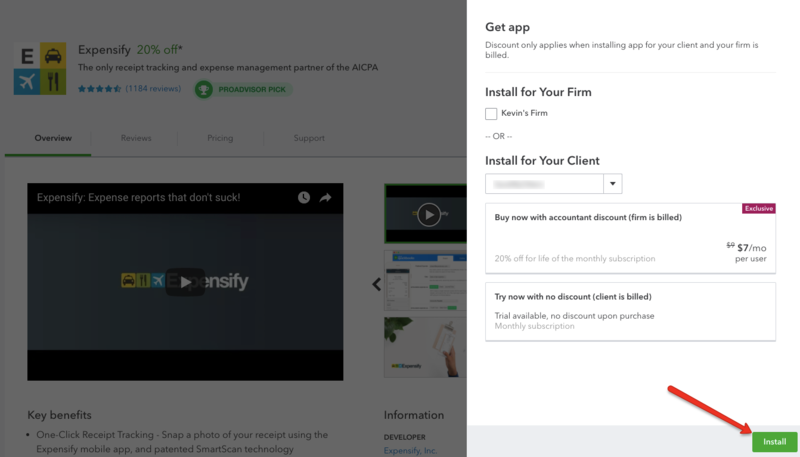 In the Client apps dropdown, choose the applicable client, then click Activate in the Expensify tile. Now that your client's policy is activated, walk through our Inbox to customize your client's settings. The inbox will walk you through client setup, and then act as your to-do list for all clients moving forward! Set up your client by answering a few questions in our Inbox. All done? Great! If you're looking to further customize your client's settings, go to the Settings > Policies page and manage their policy. A policy is the set of rules and workflows for each client. 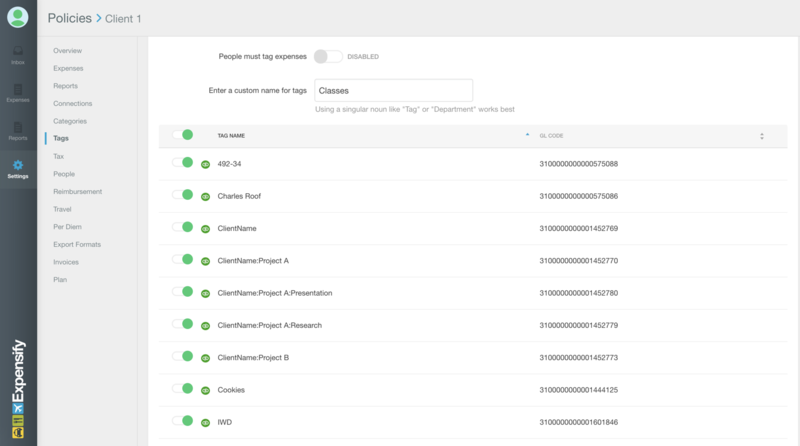 Set your client's output currency and enable automation features. 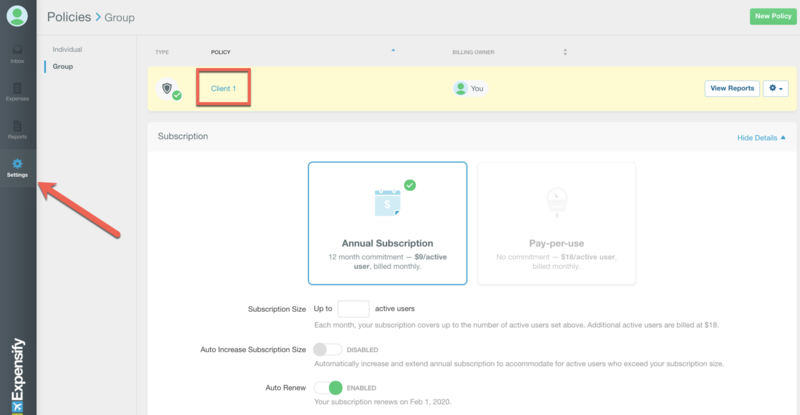 Scheduled Submit will auto-create reports for clients and submit violation-free expenses at a frequency of your choice. All the client has to do is SmartScan receipts and we'll do the rest of the work for them! Need to make changes to your existing connection with QuickBooks Online? Customize your client's Export, Coding, and Advanced options by selecting configure. Interested in learning more about the integration? Check out this short demo! 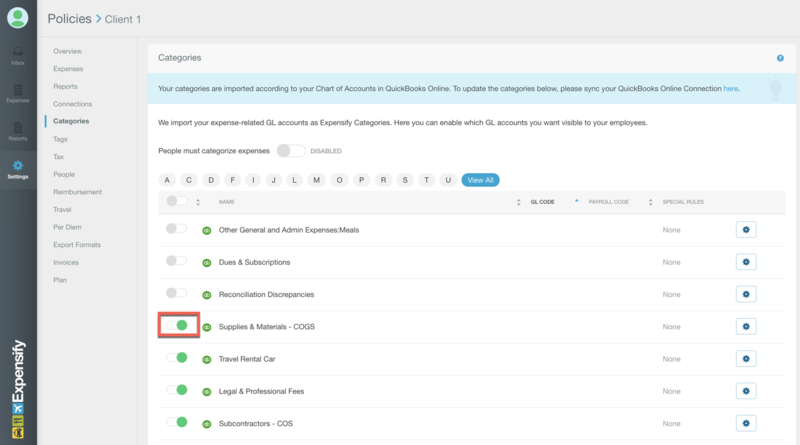 Use the categories section to tailor the list of GL accounts available for employees coding expenses by using the green toggle! 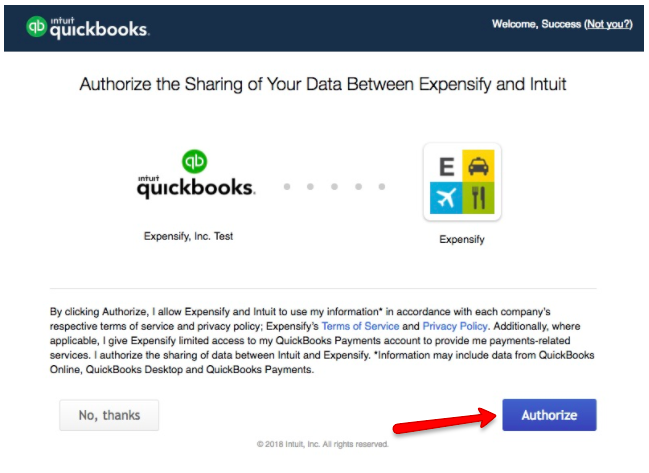 If your client is using any additional mappings from QuickBooks Online (e.g. Classes, Customers, etc. ), then you can manage these lists in the tags section! Tax tracking can be configured in the advanced settings of your QuickBooks Online integration (Settings > Policies > [Policy Name] > Tax). The People section allows you to configure your client's approval settings, workflow, and invite other employees to join the expense policy. Use our Approval Workflow Guide to ensure you set this up to fit your client's needs. All invites include live training sessions and documentation to get their team ramped up on Expensify! Setting up your client's withdrawal account for reimbursements? Follow along with this guide to do so. Day 1 for Employees - everything a new user needs to know. Mobile App Demo - download our mobile app for free and get started right away! Employee Webinar - register for a live training session walking through submitting/approving expenses from both mobile and web. Admin Webinar - register for a live walkthrough on best practices for managing your company. Training Page - if your client would rather review things on their own time, this guide will get them up and running quickly.